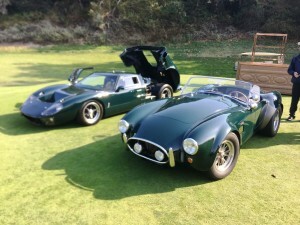 – this time you will see the construction of two custom GT-40s for Steve Wood and Bruce Goldsmith. Mr. Goldsmiths GT40 is under final revision and was displayed at the QUAIL MOTORSPORTS GATHERING in 2017. Mr. Wood’s GT40 is undergoing its build process and it taking some time.